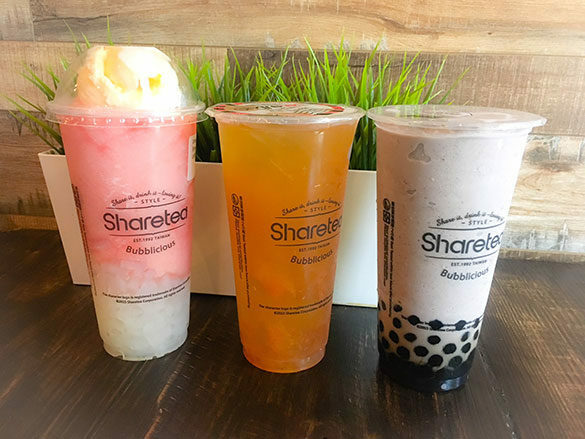 Sharetea – Elk Grove, CA – Best Boba In Town!! 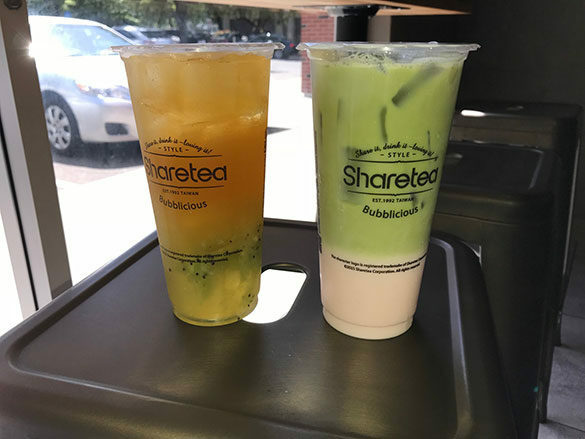 Sharetea has become my new favorite boba shop. 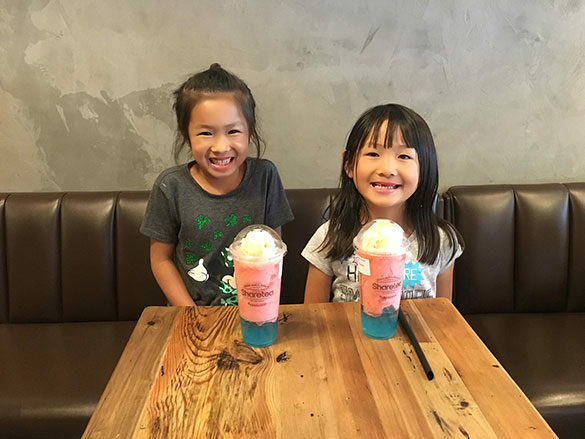 They make their own fruit purees and their boba drinks are just very high quality compared to other places. I have to confess I was wary when I first heard awhile back that a new boba place had opened up. Elk Grove has a lot of them. I’m serious about boba. Prior to this, T4 was my go to boba shop. Now, I feel deprived if I don’t hit up Sharetea several times a week. My favorite Sharetea drink so far is the Kiwi fruit tea with Aiyu Jelly. It’s not too sweet and uses real kiwi fruit puree they make themselves. My 2nd favorite is the Hawaii Fruit Tea with Aiyu Jelly. Sharetea makes this one with real pineapple puree, orange puree, and grapefruit puree. They make it really sweet so I suggest getting the Hawaii Fruit Tea at 80% sweet. My daughter Roxy has two favorites. She likes the Strawberry ice with Blueberry Boba and vanilla ice cream. They call this one the “Cotton Candy.” She also likes the Oreo Ice blended with Pearl. My husband Kenny just likes a plain Thai Tea without boba. They make a very good Mango Tango drink with chunks of fresh mango. It’s only available seasonally so I highly recommend trying it if you see it’s available. Sharetea has Egg Puffs if you’re looking for a snack. They also have a the famous Raindrop Cake, which is served with adzuki red beans, brown sugar, and syrup. I’m hoping they develop the menu with more snacks in the future. They do not have any savory snacks at this time. I have no reservations whatsoever about recommending Sharetea for boba. JAX APPROVED!